The 1500 series replaced the S50 in July 1968. Including the later 1800 series, it was built until 1972. Available in 4-door sedan and wagon bodystyles, the C10 Skyline 1500 was powered by the 1,483 cc G15 engine from the previous S57 producing 94 hp and 96 lb-ft (130 Nm) of torque. The 1800 was powered by the 1,815 cc G18 engine with 105 hp and 109 lb-ft (147 Nm). 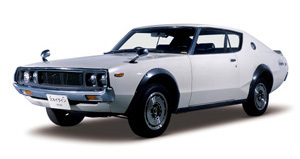 These cars were mostly using Prince parts and were the last Skylines to be released with the Prince badge, with all following Skylines to be renamed Nissan Skyline. Just like all other derivatives of the C10 series, the GC10 (G standing for GT) was basically planned by Prince, although it was later badged Nissan Skyline 2000 GT. It was introduced in 1968 (2 months after the 1500) and first came in 4-door sedan (GC10) and 5-door wagon versions and from 1970 on also with two doors (KGC10). The car was almost the same as the preceding S54 GT-A model, featuring a 6-cylinder engine instead of the previously common 4-cylinder. The Nissan Skyline 2000 GT got the L20 engine, a 2-liter inline-6 with 105 hp. 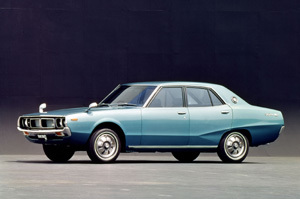 The Nissan Skyline 2000 GT-X appeared in September 1971 and was powered by a L20T twin-carb engine producing 130 hp. The 2000 GT-X was available in sedan and coupe bodystyles and featured standard power windows. 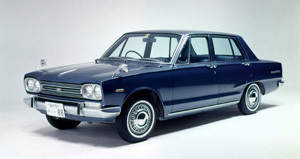 1968 had seen the introduction of a basic Skyline (the 1500/1800 series) and a model comparable to the previous GT-A (the GC10 series). But people were still eagerly awaiting a replacement for the GT-B. 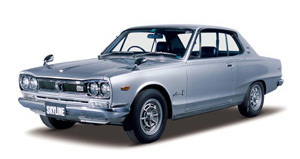 Almost a year passed after the introduction of the new model range, until finally in February 1969 the new Nissan Skyline 2000 GT-R sedan came along. The Nissan Skyline 2000 GT-R was powered by the 2.0l DOHC S20 engine producing 160 hp - equally strong as a Porsche 911 of that time. This engine was basically the same as the GR8 of the Nissan R380 racecar, which won the 3rd GP of Japan in 1966 against a Porsche Carrera 6. Since it was intended for racing, the PGC10 (P stood for Prince) was very lightweight inside, without a heater or radio, but from the outside almost looked like any other 4-door sedan. 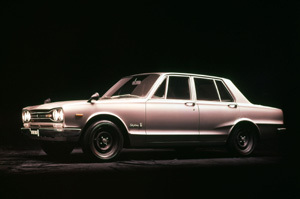 After over two years, the coupe-version of the GT-R (KPGC-10) was introduced in March 1971. A shorter wheelbase and less weight made for a better maneuverability in comparison to the 4-door version and further enhanced this car's capability on the circuit. The Nissan Skyline 2000 GT-R lived up to the racing pedigree of its predecessors and the sedan scored 33 victories in those one-and-a-half years it raced, which was raised to 50 victories by the KPGC-10, until its production was stopped in 1972. The C110 series was built from 1972 until 1977 in sedan, coupe, and station wagon bodystyles. The two basic versions, 1600 GT and the 1800 GT, both used derivatives of the former G15 engine, the 1.6l G16 with 100 hp and the 1.8l G18 with 105 hp. The 2000 Series was available in GT and the well-appointed GTX trims. The Nissan Skyline 2000 GT and GTX were powered by the 2.0-liter L20E engine with an output of 130 hp. After the introduction of stronger exhaust emission regulations in 1975, the engine was equipped with an electronic gasoline injection (EGI) system and the model names were changed to GT-E and GTX-E. In February 1976 it became the C111, which complied with the 1976 gas emission regulations. The most powerful of the quartet was the Nissan Skyline 2000 GT-R, using an unchanged version of the S20 engine with still 160 hp. The 1973 Nissan Skyline 2000 GT-R used disc brakes all around and in contrast to its predecessor was available as a coupe (KPGC110) only. With only 197 units produced, this was to be the last car to wear the GT-R badge for more than a decade.